Ghost in the Shell is a gold standard in both the anime and manga genres, and embodies some of the quintessential characteristics of the medium: beautiful artwork, incredible action sequences, and a complex existentialist storyline. Major Motoko is also inspirationally feminist: a take-no-guff Amazon of a woman who is intimidating to those around her — all men — for her physical stature, her hacking proficiency, and her tactical prowess. Yet, Motoko’s status as a cyborg also called into question these notions of identity. 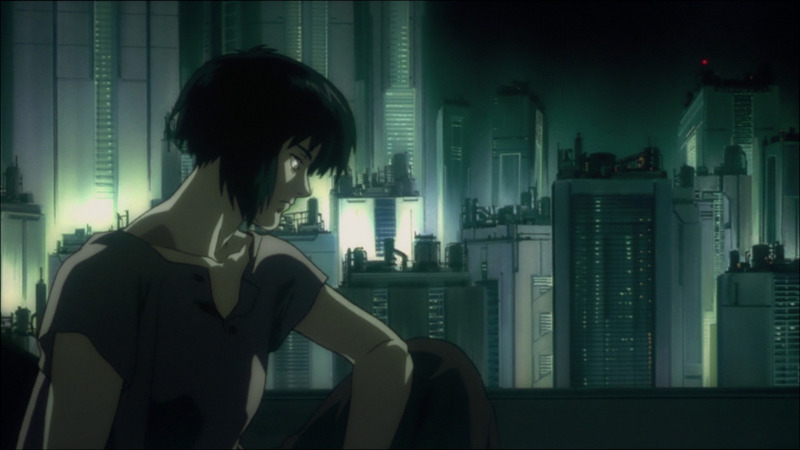 One of the most powerful scenes in the film is Motoko’s self-reflection on the construction of self — is Motoko the ghost or the shell? — and her insights still feel relevant for today’s cyborg society. The consistent theme of the series is Motoko’s self-exploration which serves as a powerful metaphor for sexual and gender fluidity, one that rendered Motoko one of science fiction’s more prominent LGBTQ characters for over a decade. In the grand scheme of popular stories that deserve live-action adaptations, Ghost in the Shell ranks high for me (alongside another popular manga series, Blade of the Immortal). 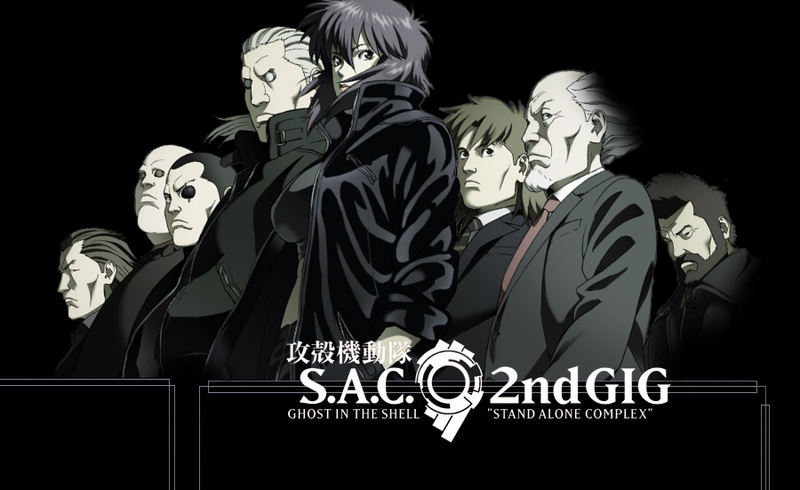 In particular, I look forward to the challenge of translating the existential underpinnings of Ghost in the Shell for the big screen, while also updating the storylines for the 21st century (which was accomplished with great success in the Stand-Alone Complex series, which in particular intertwined highly relevant geopolitical questions with the series’ characteristic metaphysical discussion). So, yes, when I heard that Dreamworks was interested in a Ghost in the Shell live-action film, I was reservedly excited. 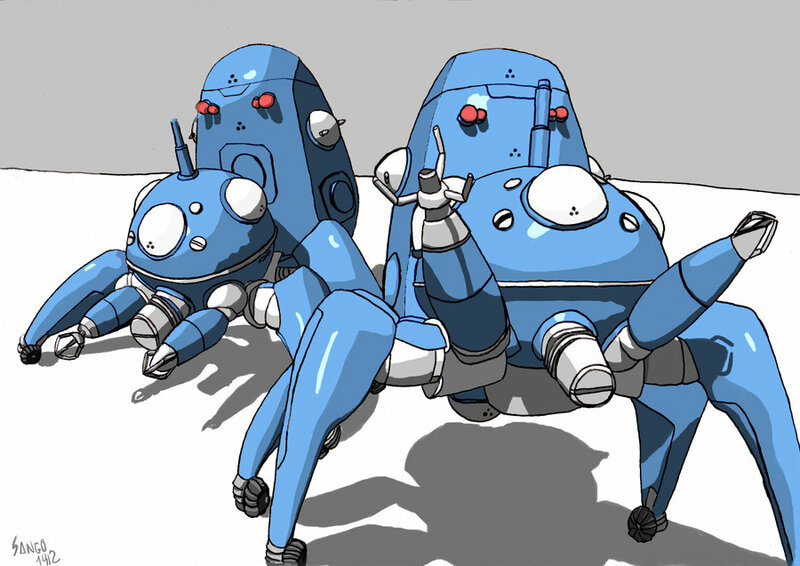 Say it with me now: live-action Tachikoma! That excitement level plummeted with this week’s revelation that Scarlett Johansson was being offered the lead role of the Ghost in the Shell project. And, while Johansson has yet to respond to the offer, the entire fan community has provided a dizzying amount of commentary on the possibility of Black Widow as our next Major Motoko. Now, there’s a ton to be pissed about with this announcement, chief among them the simple fact that Johansson’s casting would be yet another example of American Hollywood Whitewashing a Japanese story through transracial casting. Ghost in the Shell is a story set in a future Japan, with elements of nineties-era industrialization and capitalism as well as social isolation central to the series’ subplots. And while fluidity of identity is fundamental to Major Motoko Kusanagi’s character, there’s no denying that the “shell” that she has chosen throughout the manga, three films, and three seasons of a TV show is that of a tall, statuesque (and well-endowed) Japanese woman. Moreso than with most characters, the physical appearance of Major Motoko is not simply an accident of birth, but an outcome of the character’s choice and thus fundamental to who she is. Therefore, for the simple fact that Scarlett Johansson is not a tall, muscular East Asian woman alone, most fans are up-in-arms with this casting offer. I count myself among them. In general, I consider myself agnostic on the topic of Scarlett Johansson. She’s strong and capable, and definitely better in some films than in others. I think she’s been passable as Marvel’s Black Widow (although I found her irritatingly one-dimensional in Captain America 2). I really have nothing against her. But, Scarlett Johansson is not my Major Motoko. Johansson’s obvious lack-of-being-Asian aside, she lacks the physical or emotional presence of Major Motoko. Motoko is equal parts terrifying and alluring, capable of immediately commanding a room with nothing more than a look. A woman with few friends, Motoko is mysterious, efficient, abrasive, and deadly, while simultaneously lonely and even vulnerable. She is the lone woman commanding a team of men, and has both their fear and their respect. She is described by her creator as someone who chooses to appear young and female, while her ghost is wise and experienced; yet, she is a character who oscillates between hopeful optimism and jaded cynicism on human nature. Of course, Scarlett Johansson is an actor — some would even say a talented one. But, I’ve never seen Johansson accomplish a character even half as complex as Major Motoko. In most roles, I’ve found her a little too pouty, a little too flirty, and a little too infantalizing — even as Natasha Romanov, who should have none of those characteristics. When she’s playing a badass — for example, as Black Widow or as Lucy — Scarlett Johansson always has this odd, indescribable quality of seeming like she is playing someone-not-to-be-fucked-with, not that she actually is someone-not-to-be-fucked-with. For the role of Major Motoko, that is a very bad fit. All this combined with the stark discrepancy between Johansson and Motoko’s physical appearances, and consider me completely unimpressed. Johansson may be Hollywood’s It-woman of the moment, but that doesn’t mean she should get all the parts. Then again, this was also totally predictable given how Hollywood tends to treat its Japanese-inspired properties: absurdly miscast actors with painfully Americanized plots. Ghost in the Shell really is going to be no exception. Meanwhile, there are plenty of Asian and Asian American actresses one could have recruited for this part. I’ll leave it to others more well-versed in contemporary actors to compile the inevitable list, but you know who I kind of wish they had tapped? Maggie Q. Tell me you couldn’t see it. Update (1/5/2015): Scarlett Johnasson has officially signed on to star in the Ghost in the Shell live-action project. Colour me unamused.